UPDATE 5.35 pm: Australia's Jarmila Gajdosova has breezed into the quarterfinals of the Hobart International with a straight-sets victory over Belarusian Olga Govortsova. 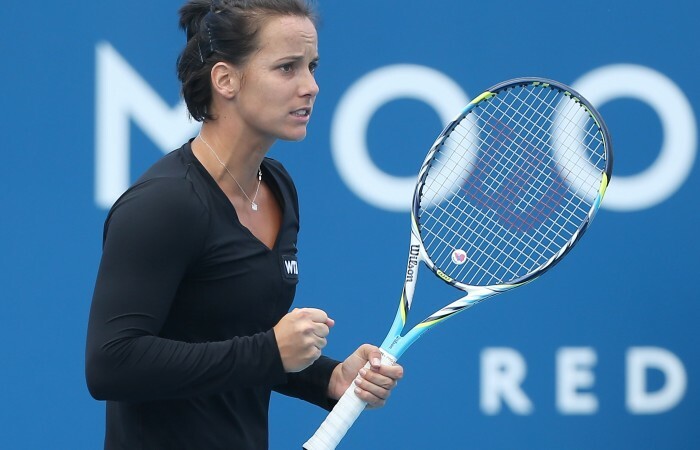 Australia’s Jarmila Gajdosova is taking little from her demolition of Belarusian Olga Govortsova to reach the quarterfinals of the Hobart International. Gajdosova breezed past the world No.57, winning the second-round match 6-3 6-1 in an hour and eight minutes on Wednesday. The Slovakian-born 25-year-old played some blistering groundstrokes and served well in windy conditions against Govortsova, who had ousted fifth seed Carla Suarez Navarro in the opening round. But she says her comeback after several months out of the game last year still has a long way to go. Asked what she’d like to fix in her game, the world No.167 didn’t hold back. 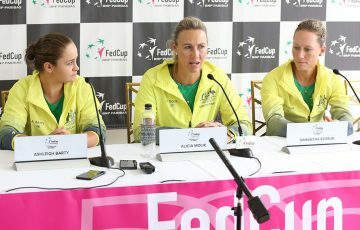 “Everything,” she told reporters at the Domain Tennis Centre. “There are still a lot of things to do better on court – ground strokes, serves, less errors, stay more patient, move better, be tactically better. The Australian former world No.25 was handed a wildcard into the event she won in 2011. She said her game needed to reach another level as she desperately tries to make the second round of the Australian Open next week for the first time in eight attempts. “I know this is not the best I can be and I’m trying to go from this level to the next one,” she said. “It’s nice to be in the quarters and get more matches under my belt. Before Melbourne Park will come world No.68 Russian Elena Vesnina on Thursday. 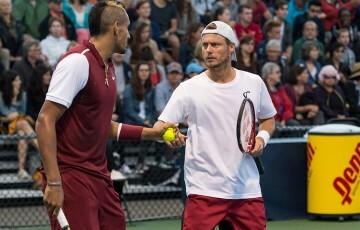 “She’s one of the nicest girls I know and we talk quite a lot so it will definitely be a very nice match,” Gajdosova said. The Australian broke Govortsova in the third game of the first set to lead 2-1 before the Belarusian broke back in the sixth for 3-3. Gajdosova broke again in the seventh and ninth games, converting her second set point after 44 minutes. Govortsova held only her opening service game in the second set as the Australian powered her way to a convincing victory. “It wasn’t the best performance but it was solid when it had to be and I played good points when I had to,” she said.